Battery Size: 2.35*0.98 *0.3 inch (L W H). 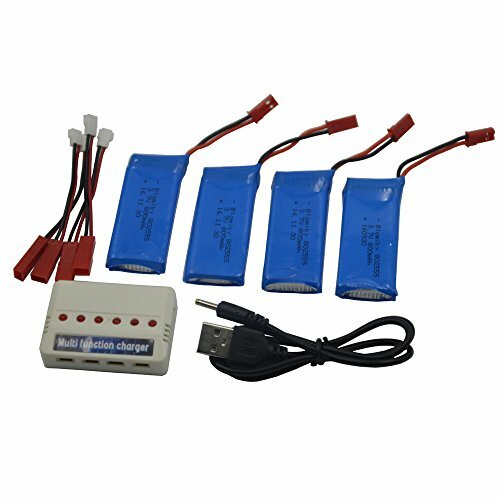 Flyng time 6-8 minutes,battery fit for Holy Stone F181 F181C F181W Quadcopter Drone, Don't advise use for Syma X56W,If use in Syma X56W ,flying time only 3 minutes. Service Notice:If you receive broken or swallen battery within 3 month,inform us resend new free. If you have any questions about this product by Blomiky, contact us by completing and submitting the form below. If you are looking for a specif part number, please include it with your message.